Karlo Taylor has known since he was 15 and washing dishes in the kitchens at The Templeton hotel, Templepatrick, that he wanted to work in hospitality. Acting on those aspirations, he left school in his hometown of Antrim and went to nearby Ballymena to study NVQ levels one and two in catering, eventually transferring to the former College of Business Studies in Belfast. “It was really busy place, 100 meals on a weekday, 300 on a Saturday, it was flat to the mat, but I was learning all the time,” says Karlo. 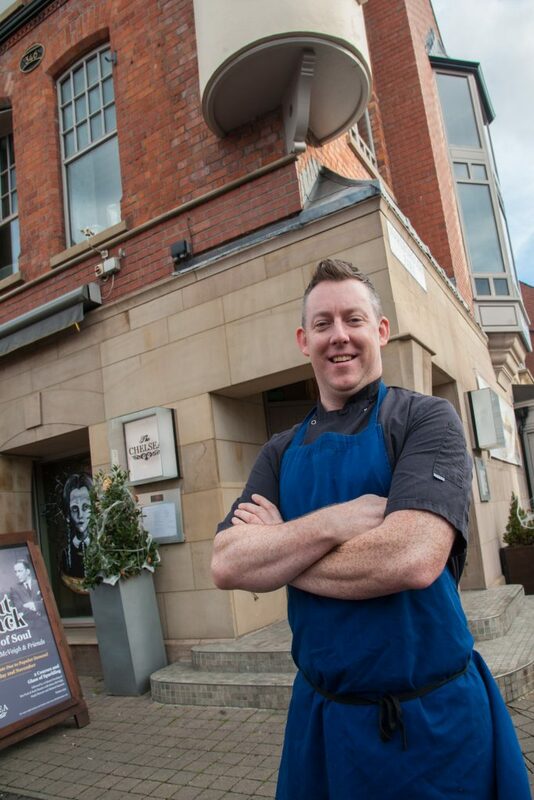 Ultimately, however, Karlo began to feel that he wasn’t learning quickly enough and so he made the move to Belfast in 1998 and a post at the original Tedford’s where veteran restaurateur, Tony O’Neill was head chef. After about a year, he took the post of chef de partie at the former Crescent Townhouse. By the time he’d turned 25, he had been promoted to head chef. “It was undergoing renovation at the time and they approached me to see if I would move over and just lift the food offering up a bit. As for the most challenging aspect of his job, Karlo says that while he has few problems in the kitchen, he finds looking after the team a little more daunting.